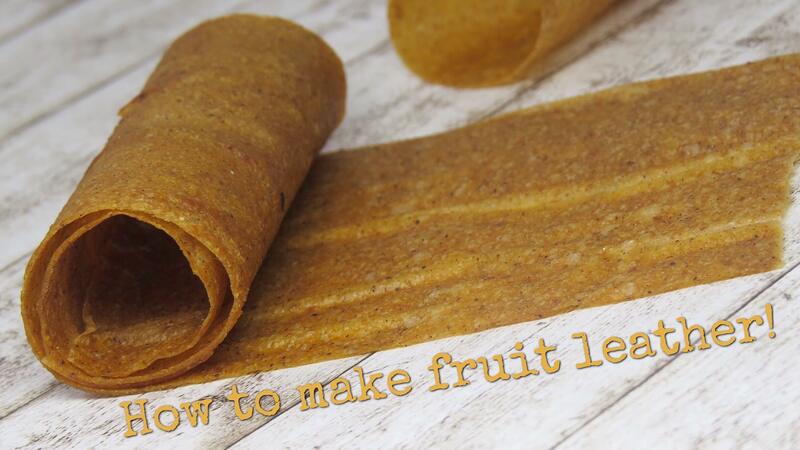 Homemade fruit leather is so easy to make and the variations are endless. My favorite is apple, papaya and apple-beet. And pear with young coconut meat makes a really custard like and awesome fruit leather. Even more great combos are mango sweet pepper, persimmon carob or simply plain raspberry. Pick your favourite fruit or fruit combo and blend it up until smooth. Spread it evenly onto a dehydrator sheet and dehydrate it at 104°F/40°C for 5-6 hours or longer if necessary. For watery fruits like papayas it needs to be spread rather thick because sometimes it happens that cracks appear.